One night I was out with a friend hanging in lower east side bar in New York City. This friend is a social psychologist focusing on inter-group conflict. We were talking about how ideas of collective happiness could be applied to our experience. I proposed and experiment to see if I could change the collective happiness, to change our subjective happiness. While overall lifetime happiness is relatively stable, moment to moment happiness varies. If individual happiness is temporarily malleable, then average group happiness is potentially malleable as well. If we assume there is a possible happiness range, then there must be a value, which maybe at this bar has a value of 75 out of 100 happiness points. We, as a group could potentially be more or less happy. 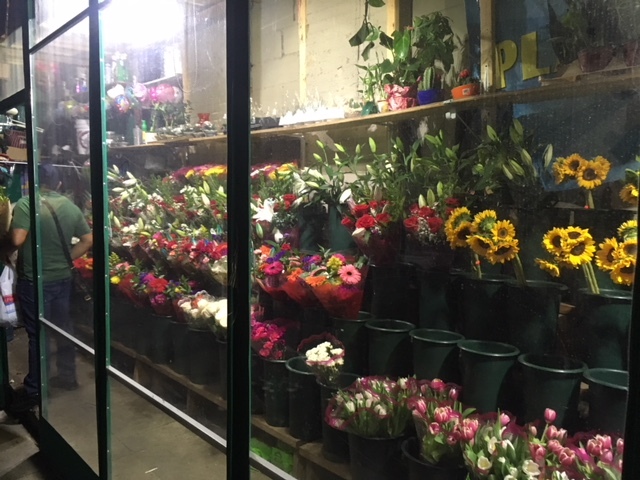 In effort to raise overall happiness [of the entre bar], thereby improving our own experience I bought everyone flowers from the bodega next door, and we all very happy as far as I could tell.